La Terapia Menstrual Madretierra© es un sistema de sanación física, mental y espiritual basado en el ciclo femenino, a partir de un conjunto de saberes ancestrales que han sido recopilados, re-creados y reforzados con técnicas de sanación energética. El maravilloso viaje del óvulo luna a luna, nos muestra como un espejo, las sombras(heridas portales) de la vida de la mujer. La Terapia Menstrual © busca guiarte como mujer, en un reconocimiento más profundo de tu ciclo menstrual y de tu vida como ser femenino, un contacto mas consciente con tu sangre menstrual, recuperar la importancia de los ritos de paso para conectar una etapa de la vida con otra, todo esto te permite, capitalizar tus energías, recuperar la autonomía de tu cuerpo; una medicina física, mental y espiritual para tí misma, elevar tu autoestima, tener seguridad y confianza en tí, ver y sanar amorosamente dolores del pasado o de tu propio sistema familiar y ancestral que condicionan la vida actual. Todo este proceso de reconectar de manera amorosa y consciente con tu útero te sana y activa tu energia vital-creativa para también poder vivir conscientemente tu sexualidad sagrada de manera placentera y profunda. Recuperarás tu verdadera esencia como Mujer única, y en cada etapa de tu ciclo dispondrás de los instrumentos necesarios para vivir de manera consciente conectada con lo que realmente necesitas, mejorando maravillosamente tu cálidad de vida emocional y física. *Si padeces de dolores menstruales, o molestias en tu fase ovulatoria. *Si tus ciclos son irregulares, menstruación muy escasa o abundante, amenorrea. *Si sientes que estás desconectada de tu feminidad y no reconoces tu potencia y energía vital cíclica, generandote vacio, tristeza, e inestabilidad emocional. *Si padeces de hongos vaginales o otras alteraciones. *Si deseas recuperar tu centro de poder y vivir una vida más plena, consciente disfrutando de tu verdadera esencia recuperando tu guia inetrior, la mujer sabia que hay en ti , esta terapia también es para ti! A lo largo de Seis encuentros, de manera individual y completamente personalizada, te acompañaré y guiaré hacia el re-encuentro con la mujer que eres, completa, cíclica, lunar, sabia y mágica. Menstrual Therapy is a system of physical, mental and spiritual healing, based on the female cycle, based on ancestral knowledge that has been collected, recreated and reinforced with energy healing techniques. The wonderful journey from moon to moon shows us like a mirror, the shadows (wound portals) of a woman´s life. Menstrual Therapy© seeks to guide you, as a woman, into a deeper recognition of your menstrual cycle and your life as a woman. It brings you more conscious contact with your menstrual blood, recovering the importance of rites of passage to connect to a stage of life. All of this combined, allows you to leverage your energies, recover the autonomy of your body, discover a physical, mental and spiritual medicine for yourself. It also increases your self-esteem to become more confident and secure in yourself, as well as seeing and lovingly healing pains of the past or your own family and ancestral system which conditioned your current life. This entire process of reconnecting with your uterus in a loving and conscious way, heals and activates your vital-creative energy so that you can consciously live your sacred sexuality in a pleasant and deep way. You will recover your true essence as a unique Woman, and in each stage of your cycle you will have the necessary instruments to live in a conscious way, connected with what you really need, wonderfully improving your emotional and physical quality of life. * You suffer from menstrual pain or discomfort in your ovulatory phase. * Your cycles are irregular, menstruation very scarce or abundant, amenorrhea. * You feel that you are disconnected from your femininity and you do not recognize your power and cyclic vital energy which generates emptiness, sadness, and emotional instability. * You have vaginal infections or other disorders. * You want to reclaim your center of power and live a fuller life, consciously enjoying your true essence, recovering your inner guide , your inner wise woman, this therapy is also for you! 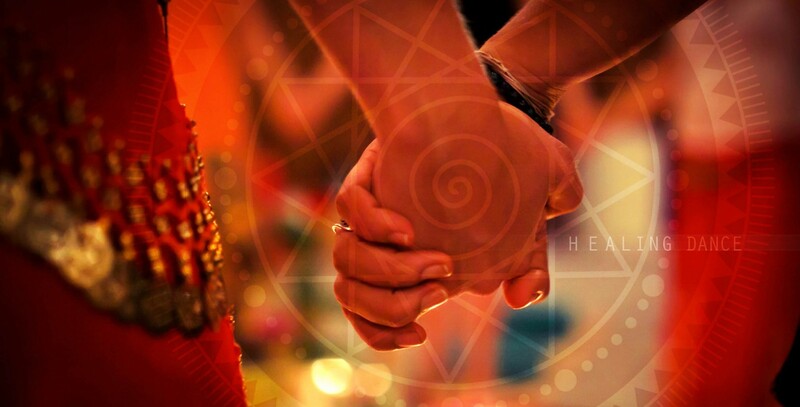 Throughout six encounters, individual and completely personalized, I will accompany you and guide you towards a re-encounter with the woman that you are, complete, cyclical, lunar, wise and magical. If you wish to start this powerful and healing journey I would be delighted to accompany you. ♥ Please get in touch if you want a session, write “private session” in the subject line. I am available for Sacred Feminine coaching via Skype, or in person. ♥ Connecting with your menstrual cycle and its four phases (pre – ovulation, ovulation , pre – menstrual and menstrual period) we recognise and respect the changing rhythms of our energy, emotions, needs , concentration, sexuality and creativity as inner guidance and a huge elemental force, instead of judging our cycle as a problem. ♥ Goddess awakening – discover what is blocking your shine, what is stopping your radiance; shed light on your limitations and let them go in the private sessions. ♥ Releasing blockages from your physical and energetic body – energetic practices tailored specifically for you. ♥Acceptance & balance of our Masculine and Feminine energy within. ♥Chakra dance exercices to balance your body, mind and soul. ♥ Soul journey – discover the purpose of your soul and gain clarity on the steps to follow it. The session lasts 90 minutes. Sessions won’t go as deep if you don’t practice on your own as well. You will get assignments. You will receive an email with clear instructions on the techniques and practices we talked about. Within a week after the session I will check in with you on your progress. It is very powerful to invest in your own femininity and divine cycle. It is deeply empowering. It is Time to bring back your forgotten powers!